Come help us save the planet! The Azuero Earth Project is dedicated to reforestation, habitat restoration, sustainable land management and environmental education on the Azuero peninsula of Panama. Reforestation in the field; nursery and organic garden management; environmental education; art (murals, creative signage, etc. ); research on climate change impacts; bilingual website editing; graphic design; fundraising/grantwriting assistance; bilingual environmental communications; videography and photography help. 1 month for in-house volunteers; 6 months for virtual volunteers. Costs generally include housing: $400 per month; food: $9-10 dollars/day; transportation: $40 per month; cell phone: $20 per month + any health/visa fees. "During my minor program from my University I had the chance to volunteer abroad. While searching on Giving Away I came across the Azuero Earth Project and it immediately aroused my interest. And now, after I have been working at the project for 2 months, I can confirm that this organization is really interesting and gives you a lot of opportunities to develop yourself within the project. Giving the variety of ongoing projects at the Azuero Earth Project, there is the opportunity to partake in a wide range of projects. Furthermore, it is also possible to be placed in an area of personal interest. Given my educational background, I was able to combine office work and field work. I have been searching for companies who want to donate to the project. 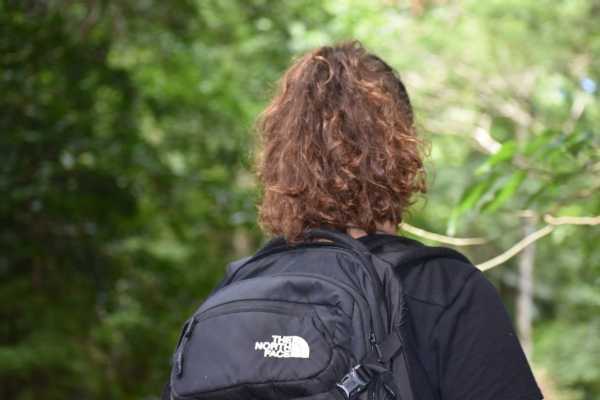 However, I also have done a lot of tree nursery, I went into the field to search for the spider monkeys, went to plantation to fertilize plants and helped with the school activities. I really liked the balance between the office work and the physical work in the field. In a nutshell, I would definitely recommend the volunteer program of the Azuero Earth Project. Since the project has many different areas to work in, It is very easy to find something within the project that arouses your interest. So when you want to do an active, physical and fun volunteering job and/or working behind your laptop to create a better online environment in a traditional, Panamanian village; go become part of the Azuero community!" We provide a rapid and in-depth exposure to Azuero culture and conservation work, with meaningful volunteer experiences tailored to each volunteer's areas of interest. Las Malvinas, Pedasi, Los Santos, Pedasí, Panama. - IPADs, smartphones and other equipment used to document data in the field. The mission of the Azuero Earth Project is to preserve the earth’s ecosystems, protect biodiversity, and promote healthy communities by helping people to make informed decisions, take sustainable actions, and share knowledge. The Azuero Earth Project is dedicated to reforestation, habitat restoration, sustainable land management and environmental education on the Azuero peninsula of Panama. We at Azuero Earth Project/Proyecto Ecológico Azuero would love to hear from you!